James O’Keefe is one of the “good ones” Beginning with his videos about ACORN in 2008, O’Keefe and his associates have gone under cover to expose progressive lawbreakers. He has been on the front lines and taking the hits. 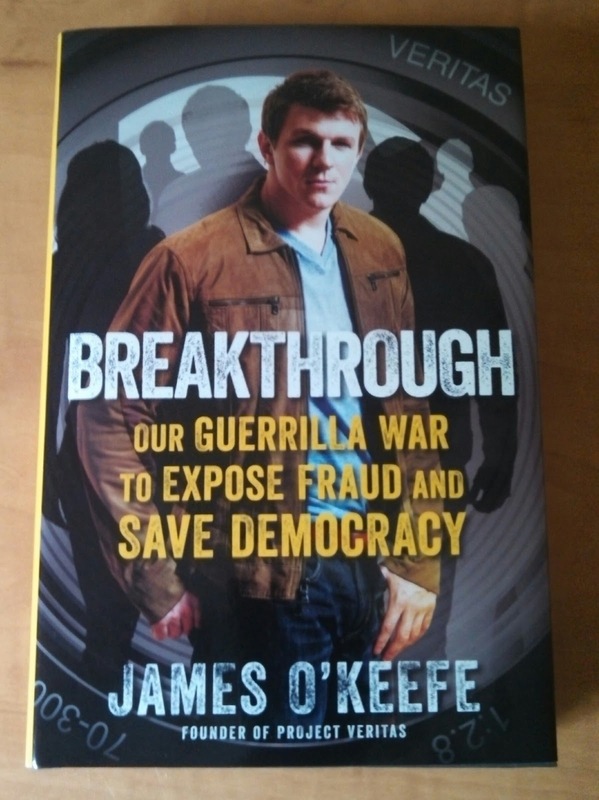 James has written a new book called “Breakthrough: Our Guerilla War to Expose Fraud and Save Democracy.” He was just interview by John Hawkins about the book. O’Keefe on the lack of support for conservative journalism. O’Keefe on a lawsuit he won. On the criminalization of journalism. “Well, it’s not even a double standard anymore. It’s politicizing of the First Amendment. It’s not a Left or Right issue. The Department of Justice gave journalist status to this Curt – I can’t remember his name. Curtis, it’s Curtis Morrison in Kentucky who admitted to eavesdropping through a wall of Mitch McConnell. Now, I defended this guy in the Daily Beast. I argued that the punishment is not commiserate with the crime. It is a felony, but the Department of Justice gave him the status of journalist. Now you have David Gregory on Meet the Press suggesting Glenn Greenwald….that he’s aiding and abetting Snowden by reporting on what Snowden did. This is only part of a great interview. To read the full discussion between John Hawkins and James O’Keefe, click here and visit Right Wing News.